Records relating to the administrative activities of the American Numismatic Society. Aside from the Biographical Files, most later materials are only for use by ANS personnel. For similar correspondence from after 1985 see the director and executive director files of Leslie Elam and Ute Wartenberg Kagan and the curatorial files of William E. Metcalf. The first set (1853, 1858-1908) contains the earliest official correspondence of the American Numismatic Society (known as the American Numismatic and Archeological Society from 1864 to 1907). There are some handwritten copies from Augustus B. Sage, the first corresponding secretary (1858); some handwritten copies in other years (e.g., 1865); a letterpress copybook (1905) and other outgoing copies (1906-1909) from recording secretary Bauman Beldon (1896-1903); and two letterpress copybooks (1874-1896), which include indexes of correspondents, that were kept by recording secretaries William Poillon (1873-1886) and Henry Russell Drowne (1886-1896). The letters document the growth and activities of the Society during a period when it was governed by an unpaid volunteer staff of members and had no permanent home. (The Society moved into its Audubon Terrace headquarters in 1908 and hired its first professional staff in 1909.) Topics include the routine management of members; the issuing of medals, including the Society’s first, which commemorated Abraham Lincoln (1866-1868); the rental of rooms for the society’s business; gifts such as coin cabinets, coins, and books; the development of the numismatic collections; the purchasing of materials for the library, including some librarian’s reports; and matters pertaining to the American Journal of Numismatics. There is only a single letter from 1853, regarding Carolus or “old head” dollars, whose significance regarding the Society is not immediately apparent. Additional correspondence later discovered that fits into the early time span of the first set (1853-1908) can be found separate from it. These include Lincoln medal subscription letters (1865-1866); letters and resolutions relating to Gaston L. Feuardent and Luigi Palma di Cesnola (1881-1888); inquiries on coin values (1881, 1908); a letter from engraver William H. Key presumably relating to the Society’s Lincoln medal (1869); correspondence to and from Isaac F. Wood, including one on a donation to the Society’s library in 1886 (1874-1893); a donated letter (1809) from Jacob Perkins, die maker of Massachusetts; and numerous letters from 1902, including from correspondents like George Westinghouse, Cornelius Vanderbilt III, and Archer M. Huntington, mostly regarding membership and committee appointments but sometimes touching on other matters, such as the death of early member William L. Bramhall. The correspondence then continues beginning around the time the Society moved into its first permanent home at Audubon Terrace (1908) and hired its first professional staff (1909). Although in the early years there are letters addressed to various ANS figures such as Bauman L. Belden (secretary, 1910-1916) and William Poillon, beginning in the mid-1910s and continuing for a time, most letters are to and from Sydney P. Noe, the Society’s secretary from 1917 to 1947. Various administrators, officials, and curators are represented in later years. Of particular note are the files on various medals issued early in the 20th century: Red Cross, Cardinal Mercier, Catskill Aqueduct, Choate, Declaration of War, Marshal Foch, Hudson-Fulton, Huntington, Independence Day, Joan of Arc, King and Queen of Belgium, LaSalle, Membership, Prince Henry, Prince of Wales, Queen of Belgians, Paul Revere, Algernon S. Sullivan, Americus Vespucci. There is a typed index for the letters of the first set of correspondence (1853, 1858-1908), which may have been prepared during the research for Howard L. Adelson’s book for the Society’s centennial in 1958. Portions, particularly later materials, are closed to outside researchers. The early correspondence is open. 1885, January-March; 1885, April-December; 1886, January-June; 1886-July-December; 1887. Adams, Elbridge L., 1919-1924; Adams, Herbert; Adams Express Company; Addressograph Company; Administration des Monnaies et Medailles (Paris, France); Aeronautical Society of America. ; Agger, E. E. (Rutgers University); Agnew, Andrew G.; Ahlswede, H. Edward. ; Aitken, Robert I.; Akron (Ohio) Centennial; Aktiebolaget Nordiska Bokhandeln (Stockholm, Sweden); Albert I (King of Belgium); Alberti, Paul E.; Allen, H. D.; Allen, John. ; Allen, William H.; Allis, Charles; Alphonso XIII (King of Spain); Altena, Edward; Alterman, Henry J.; Amelung, Cecilia L.; American Academy of Arts and Letters; American Academy in Rome; American Ambassador, Rome, 1921; American Antiquarian Society (Worchester, Massachusetts); American Art Association. ; American Asiatic Association; American Association of Museums, 1923-1928; American Bankers Association Journal; American Consul, Malta; American Express Company; American Express Company; American Federation of Art, 1922-1924; American Foreign Service Corporation; American Geographical Society; American Historical Association; American Institute of Architects; American Institute of Mining and Metallurgical Engineers. Babelon, Ernst; Babelon, Jean; Baer, Carlyle S.; Joseph Baer & Co., Buchhaendler und Antiquare; Bahr, Peter; Bahrfeldt, Emil; Bailey, Banks & Biddle Co.; Bailey, James; Bailey, John S; Baird, Andrew B. (Dr.); G. A. Baker & Co.; Baker, Raymond T. (Director, U.S. Mint); Baker, Smith & Co.; Baker, Stephen; Baker & Taylor Co., booksellers, 1923-1924; Baker & Taylor Co., booksellers, 1925; A.H. Baldwin & Sons, Ltd.; L.G. Balfour Co.; Banerji, R. D. ; Bangor (Maine) Public Library; Bangs, H. C.; Bank of Pittsburgh; Bankers Trust Co.; Banks, Edgar James; Francis Bannerman Sons; Baranowsky, Michele; Barbi, H.; Barnard F. P. (Curator, Ashmolean Museum); Barnes, W. H.; Barocelli, Piero; Barrett, S. A. (Director, Milwaukee Public Museum); Bartlett, E. E.; Bartlett, Paul; Bartlett, S. A.; Barrington, Rachel T. ; Bastian Brothers Co.; Baudez, J. (French Miliary Attache); Bauer, George J.
Boersenvereins der Deutschen Buchaendler zu Leipzig.Bolton, Reginald P.; Bonaventure, E. F.; Bonnet, Louis.Book dealers; Book, Robert D.; Boone, Cheshire L.; Booth, Franklin; Booth, Henry; Bordas, F.; Borghenzio, Gino. (Societa Piemontese di Archeologia e Belle Arti); Borglum, Gutzon; Borsch, A.; Borst, George H.; Borton, Marjorie Borum, Charles (Jr.); Boss, John B.; Bossom, Alfred C.; Boston Post; Boston Public Library; Boston Numismatic Society; Boston University; Bostwick, W. W.; Bottee, Louis; Bourgey, Etienne; Bourn, W. B.; Bowdoin Museum of Fine Arts; Bowdoin, Temple Bowdoin, W. G.; Bowen, Arthur (State Bank of Chicago); Bowers, George W.; Bowles, Harry S.; Bowman, John M.; Boxstrom, H. J.; Boyd, F. C. C.; Boyer, Alden Scott; Boyle, F.
Britton, W. Rutger; Brock, Elizabeth; Brooklyn Institute of Arts and Sciences; Brooklyn Public Library; Brooks, Arthur A.; Brooks, Richard E. (Mrs.); Broun-Green Co., printers and stationers, 1924-1925; Brown Brothers; C. H. Brown Co., rug cleaning; Brown, C. Wilson; Brown, F. Q.; Brown, F. Rhinelander; Brown, George F.; Brown, H. B.; Brown, James, public library bookbinder; Brown, Samuel A. (Mrs.); Browning, A. W.; Bruce, O. ; Brunner, Arnold W.; Buchenau, (Munzkabinettes Muenchen); Buck, Henrie E.; Buckenham, J. E. B.; Buffalo (NY) Chamber of Commerce. ; Buffalo (NY) Historical Society. ; Buist, Henry R.; Bulgarian National Museum; Bullen, Henry L.; Bullivant, William M.; Bundessammlung von Medaillen Muenzen und Geldseichen (Vienna, Austria); Burch, Lowell R.; Burgess, Alexander; Burlingham, Charles C.; Burnham, Roger N; Burrage, Russell; Burroughs, E. B. (Rev. ); Burrows Brothers Co.; Burruss, A. E.; Burton Historical Collection (Detroit Public Library); Bush-Brown, H. K.; Butler, Charles Stewart; Butler, Dudley; Butler, Howard; Butler, Nicholas M. (Mrs.); Butler, Orma F. (University of Michigan); Butler, Wyckoff & Reid; Butterick Publishing Co.; Butterworth, F. C.
Clearwater, Alphonso T.; Cleveland Museum of Art; Cleveland Public Library; Cluett, Sanford L.; Cochran, Alexander Smith; Cockerell, Sydney C. (Curator, Fitzwilliam Museum, Cambridge University); Coggeshall, E. W. ; Cohn, Morris (Mrs.); Collins, Fred; Colasanti, Arduino ; Cohn, Hans; The Collectors Club; College Art Association of America; Collier’s magazine; Collignon, Arthur; Collins, Edmond J.; Collins, Lathrop; Collins, Ross F.; Columbia University; Columbia University—School for Secretaries; C.R.B. Educational Foundation (Commission for Relief in Belgium); Comparette, T. Louis, 1915-1919; Comparette, T. Louis, 1920-1922; Comstock, William D.
Conference of Historical Societies; Conkling, Mabel; Connecticut Junior Republic Association, 1920; Connecticut State Library; Thomas Cook and Son; Coolidge, Calvin, 1925; Coolidge, Richard, 1925; John E. Cooper & Co., CPAs; Cooper, Morris (Mrs.); Cooper, W. F.; Corbett, Gail S.; Corbino, Cav. (Direzione Generale Delle Antichita e Belle Arti); Cordeal, John F.; Cornell University—Library; Corn Exchange Bank; Corning C. R.; Cosby, Joseph T.; Couch, Eunice B.; Cowell, C. W.; Cowen, William; Count of Santa Eulalia; Country Life magazine; Courteau, Eugene G.; Cramer, Caspar J.; Crane, George F.; Crittenden, William; Crose, John; Crunelle, Leonard; Cruthers, E. E. ; Cuban legation; Cunha, Xavier da (Director, Bibliothica Nacional de Lisboa); Cunningham, C. E. (Mrs.); Curtis, George L. (Mrs.); Currelly, C. T. (Royal Ontario Museum of Archaeology); Cutler, Joseph W.
Dallin, Cyrus E.; Daly, Bernard A., public stenographer; Daneu & Co. (Palermo, Italy); George Damon & Sons; Darcy & Rogers; Dattari, Giovanni; Davies, J. Clarence; Davis, Gherardi; Davis, R. E. (Mrs.) (Librarian, Chicago Coin Club); Davis, Solomon; Joseph K. Davison’s Sons, manufacturing jewelers; Dawley, Eliza; Dawson’s Book Shop; Day, Arthur P.; Deacon, James H.; Deats, Hiram E.; DeBaum, J. A. ; de Bethune, G. (1924 Foreign Medal Exhibition); de Ciccio, Guiseppe. ; de Forest, Robert W.; de Francisci, Anthony; de Fuentes, E. Sanchez (Sociedad Nacional Cubana de la Crus Roja); Walter de Gruyter & Co.; De Haan, Roland; De Hart, Arthur; de Heredia, Carlos (Mrs.); Deighton, Bell & Co., Ltd.; de Kay Charles; Delafield, John Ross; de Lagerberg, Julius, 1908-1920; de Lagerberg, Julius, 1921-1922; de Lagerberg, Julius; Delano, F. A.; Delano, Lyman; De Martino, Giacomo (Italian Ambassador); Denby, Edwin (Secretary, U.S. Navy); Denmark—Coin Cabinet; Dempsey & Carroll; Dennison Manufacturing Co.; Denzer & Nathan; de Pereira, Joaquin; Deschamps, Leon; Detroit, Mayor of; Detroit News; Devane, Joseph F. X. [Troy (NY) Chamber of Commerce]; Devreese, Godefroid; De Vinne Press; F. W. Devoe & C. T. Raynolds Co.; Dewing, Arthur S.; Dexter, Franklin B. (Mrs.) (Colonial Dames of America); de Yoanna, A.
Drummond, J. W.; Drury, Alfred; DuBois, Arthur E.; Debreuil, L. (French Embassy); Dudley, Mayo (Washington, D.C., Evening Star newspaper); Duffield, Franfurter G., 1915-1919 (Editor, The Numismatist); Duffield, Frankfurter G., 1922-1925 (Editor, The Numismatist); Duke University Press; Dumbadze, V. D.; Duncan, T. S. (St. Louis Numismatic Society); Dunham, Horace G.; Dunn, Roscoe L. (Librarian, Museum of Fine Arts, Boston); Dunscomb, S. Whitney (Jr.); Dutcher, George M.; E. P. Dutton & Co.
Eagle Almanac; Earhart, Frances E. (Librarian, Duluth Public Library); Earl, Douglas; Earl, Robert; Earle, Violet; Eastman, F. G.; Eastman Memorial Foundation; Eastwood, Eleanor; Eaton, Doane; Ebbets, Charles H.; Eberhardt, Frederick; Ebersole, F. J.; Les Editions Vitry; Editorial Mundo Latino (Madrid, Spain); Edmonds, Franklin S.; Edwards, Francis; Edwards, Franklin S.; Edwards, Joseph; Edwards, Virginia B.; Egger, Arnim (Egger Brothers); Ehlers, W. C.; Marc Eidlitz & Son; Eidlitz, Robert J.; Eidlitz, Robert J.
Elco Gelatone Publishing Co.; Elder, Thomas. ; Elderkin, George W.; Ellenhusen, Ulric. ; Ellsworth, James; Elsworth Press, 1924-1926; Ely, Foster / Ely collection; Embler, Elizabeth D.; Emerson, Samuel (Mrs.); Emery, G. H.; Empedocles, G.; Emrick, M. W.; Encyclopedia Britannica; Endicott, F. Munroe; Engeli, A. (Director, Winterthur Numismatic Museum); B. Engessor Co.; Equitable Appraisal Co.; Equitable Trust Co. of New York; Erie Canal Centennial Commission; Ermitage Museum (Hermitage Museum); Ernst, Bernard M. L.; Essex Institute (Salem, Massachusetts); Ethical Cultural School; Euainetos decadrachm; Evans, Arthur (Sir); Evarts, Allan W.; Evening Post newspaper (New York, New York); Evening Sun newspaper (New York, New York); Arthur A. Everts Co.; Everett, Ethel (New York Times); Eyre, Louisa; Ezekiel, Henry C.
Faelten, Reinhold; Falls, DeWitt Clinton; Famous Players Lasky Corp; Fancher, F. R; Fang, Liang Luen (Chinese Consul); Farm and Fireside magazine; Farnham, Sally J; F. W. Faxton Co; Federal Reserve Bank—Cleveland; Federal Reserve Board—Washington, D.C; Federal Trade Commission; Feldman, Charles J; Ferguson, M; Ferris, Harlo; Field, William B. Osgood, 1910-1919; Field, William B. Osgood, 1920-1931; Fifth Avenue Coach Co; Finney, Howard (New York State Chamber of Commerce); Finnish legation; Finta, Alexander; Firestone, Archibald; Fish, Stuyvesant; Fisher, Robert. Flagg, Luther N; Flagler, Harry H; Flanagan, John; Fletcher, Frank; Fletcher, Henry; Flint, Charles R; Florange, Jules; Fock, Gustav; Foley, J; Folks, Homer (NY State Charities Aid Association); Forbes, H. R; Ford, James B; Fordyee, John A; Forrer, L. (Spink & Son); Forrestal, J. V; Fortier, J. (Mrs.); Foster, John W; Fowler, C. E; Franklin Institute; Franklin National Bank; Franklin Square Agency; Fraser, A. D; Fraser, James Earle; Frayne, Joseph; E. H. & A. C. Friedrichs Co; Freeman, Harley; French, Daniel Chester; French, Thomas E; French Institute in the United States; French Line; French Mint; Freres, Feuardent; Fresno County (CA) Public Library; Frew, Walter E; Frey, Albert R; Fuchs, Emil. Gabrici, Ettore; Gaebler, H. (Kaiser Friedrich Museum); Gaettens, Richard; Gaines, Ruth (Huntington Free Library and Reading Room); Galbreath, C. B. (Ohio State Archaeological and Historical Society); Gallatin, Albert; Galli, Edoardo (Universita di Pisa); Galster, Georg (Copenhagen, Denmark); Galt, Caroline M; Gamber, J; Garcia Rico y Cia; Gardener, Percy (Ashmolean Museum); Garlick, A. J; Garrett, John W; Garrett, Robert; Garza, J. Sanchez; Gates, I. E; Gates, Milo H; Gatti, Guido; Gaunt, James; Gauthier-Villars & Co; George Junior Republic, 1920; William George’s Sons, booksellers; George Washington High School (New York, New York); George Washington Memorial Association; German Catholic Convention; Geuthner, Paul; Geyer, H. F; Giesecke, Walter; Gifford, C. S; Gies, A. C; Gilbert, Cass; Gilbert, S; Gilder, J. B; Gilhofer & Ranschburg; Giliberti, L. (Circolo Numismatica Napoletano); Gillett, George A; Gilliss, Walter. Gillingham, H. E., 1917-1920; Gillingham, H. E., 1923-1924; Gillingham, H. E., 1925; Gillingham, H. E., 1926; Gillingham, H. E., 1927; Gillingham, H. E., 1928; Gillingham, H. E., 1929; Gillingham, H. E., 1930; Gillingham, H. E., 1931; Gillingham, H. E., 1932. Gilmore, George L; Gilroy, Edward A. (Jr.); Ginori, Roberto V; Girolami, O; Glendining & Co., Ltd; Goddard, Charles; Goddard, George S. (Connecticut State Library); Goetz, Karl; Goessler, P. (Muenz und Medaillen); Goldsmith, Henry; Gombrich, Flora; Goodman, David C; Gordon, John; Gorham Co; Gough, John T. (New Orleans Times-Picayune); Gouch, W. A; Gould, Charles W; Gould, Edwin. W. R. Grace & Co; Joseph I. Grady Co; Graff, A. Stanley; Grafton & Co; Graham, Anderson, Probst & White, architects; Granberg, H. O; Grant, John; Grantley, _____ (Lord); Gravel, Ludger; Gray, H. A; Green, Elmer S; Green, Theodore F; Green, Thomas; Greene, Henry A; Greenough, John; Greenwich Safe Deposit Co; Greenwood, Mary M; Gregory, John; Grey, Viscount (British Ambassador); Gridley, Edward M; Grieshaber, Carl F; Griffith, Susan; Grimes, Frances; Grinnell, George Bird; Grinnell, William Morton; Grolier Club; Grose, S. W; Grossmann, I; Grosvenor Library (Buffalo, New York); Grouitch, Slavko Y. (Minister, Kingdom of the Serbs, Croats and Slovenes); Grover Cleveland Memorial Association; Guerrieri, G. (Director, Museo Provinciale S. Castromediano); Guerillot, M; Guernsey, Roscoe. (American Academy in Rome); Gunther Collection; Gunther, John Jacob; Gunther, C. Guthrie, J. A; Gutmann, Friedericus (Staatliches Munzkabinett Muenchen); Guttag, Julius / Guttag Brothers. Haarer, John W; Habich, Georg (Director, Staatliches Munzkabinett Muenchen); Hachette et Cie; Hacienda y Credito Publico (Mexico City, Mexico); Hadden, Alexander M. / Hadden, John W; Hafner, Charles A; Hagan, Eero (Finnish Consul); Halls, F. S. (Director, State Museum, University of Washington); Halpern, S; Hamburger, Joseph; Hamburger, Leo; Hamilton, George L; Hamlin, Genevieve Karr; Hammacher, Schlemmer & Co; Hammond, Otis G. (New Hampshire Historical Society); Hanley, A. L; Hannan, E. E; Hansen, Harvey L. (Pacific Coast Numismatic Society); Hanson-Bennett Magazine Agency; Harbour, Jefferson L; Hardee, N. A; Harding, J. Horace; Harrassowitz, Otto; Harden, Edward; Hare, George J., photographer; Harriman, E. H. (Mrs.); Harrison, Alexander; Hart, Joseph; Hart, W. O; Hartman, Fred; Harvard Cooperative Society; Harvard University; Haseltine, J. W; Haskell, J. Amory; Hatch, L. J. (Mrs.); Haughton-Burke, Thomas A; Havemeyer, H. O. (Mrs.); Hawkes, McDougall (President, French Institute of the United States); Hayden, Horace E; Hazell’s Annual journal; Hazelton, Alan W.
Hulbert Bill; Hume & Walker; Hume, Edgar Erskine; Hummel, Ludwig; Hungarian Numismatic Society; Hunt, Joseph and Richard; Hunter, W. H; Huntington, Arabella; Huntington, Archer M., 1907-1910; Huntington, Archer M., 1911-1917; Huntington, Archer M., 1915-1918; Huntington, Archer M., 1919-1921; Huntington, Charles P; Huntington, Ford; Huntington, Henry E; Huston, George R; Hutchison, Joseph; Hutaf, A. W; Hyatt, Anna V; Hyde, E. Francis; Hyde, Frederick E; Hyde, James H.
I (unsorted), Albert; Inglehart, D. S. (National Polo Pony Society, Inc.) Ingraham, Phoenix; Ingraham, Sara; Ingvall, A. P; Innes, Katherine (Director, Montclair Art Museum); Institut International de Cooperation Intellectuelle; Institute for Crippled & Disabled Men; Instituto Italiano d’Arte Grafiche; Instituto di Numismatica, Museo Nazionale delle Terme Diocleziane (Rome, Italy); Intelligencer Printing Co; International Art & Science Book Co; International Cable Registrations, Inc; International News Co; International Numismatic Congress (Brussels), 1910; International Studio; Iowa Masonic Library; Ireland, Gordon; Irish Setter Club of America; Irving, A. Duer; Italy—Royal Consul; Ives, Herbert E.
L (unsorted); Laborie, Jean; Laessle, Albert; Lafayette Day National Committee. Lafayette Medal; Laffranchi, Lodovico; Lake County Historical Society (Chicago, IL); Lambert, J. B; Lambert Samuel W.
Lieber, Carl H. (Art Association of Indianapolis, Indiana). ; Liebert, Gaston (French Consul). ; Lillard, R. W. (Associated Dry Goods Corp.). ; Lincoln, Frederick W.; Lincoln Memorial Commission. ; Lindheim, Norvin R.; Ling, Harry L.; J. B. Lippincott Co.; Liveright, Frank. J.; Livingston, L. A.; Lloyd, Allan G.; Lloyd, A. H.; Lober, George J.; Loeb, James. ; Loeb, Morris (Mrs.). ; Loeb, Morris; Frederick Loeser & Co.; Loftus Brothers; B. Login & Son. ; Corporation of London. ; London Mint. ; Long Island Historical Society. ; Longman, Evelyn Beatrice. ; Lorentz, Alfred. ; Lorenzani, A. E.; Los Angeles Public Library; Loubat, Duke of. ; Louisiana Historical Society. ; Low, Lyman H.; W. H. Lowdermilk & Co., rare book dealers. ; Lowell A. L. (Harvard University); Lowenstam, B. G.; Lownes, M. E.; Lucas, F. A. (American Museum of Natural History). ; Luce, Stephen. ; Lyman, R. H. (The World newspaper). ; Lynch, James A. Lynge, Herman; Lyon, Bert. Mabbott, Thomas O.; James MacDonald Co., bookbinder. ; MacDonald, Lillian M.; MacDonald & Maier. ; MacDonald, George; Macdonald, Lucy W. (Secretary, Royal Society of Miniature Painters); MacIlvaine, J. B. S.; MacKenzie, Thomas R.; MacLean, J. Arthur (Art Institute of Chicago); Macallister, James J.; MacMahon, R. C.; Macmillan Co.; MacMonnies, Frederick; MacNeil, Hermon A.; Magoffin, Ralph V. D. (New York University); Madlener, A. F.; Maemple, M. C.; Magyar Numismatikai Tarsulat (Budapest, Hungary); Maine Historical Society; Maltry, M.; Maly, Franz. ; Manley, Herbert D.; Mann, Earl S.; Manning, C. (Committee on Foreign Medals); Manning, James H.; Manship, Paul. ; Manuel II (King of Portugal). ; Marburg, Theodore. ; March, Peyton (U.S. War Department). ; Marcotte, Abbe Leon. ; Margetts, N. E. (U.S. War Department). ; Mariani, Lucio. ; Markert, Karl. ; Marlier, George F.; Markus, Charles. ; Marquand, Allan (Princeton University). ; Marshall, Sue. ; Marshall, Rudolf. ; Marshall, Vause W.; Marshalltown (IA) Public Library. ; Martin, George Castor. ; Martin, Laura Grinnell. ; Martin, Newell. ; Martin, W. R. (Librarian, Hispanic Society of America). ; Marvin, Elizabeth E.; Marvin, Selden E. (Jenny Lind Centennial Celebration). ; T. R. Marvin & Son. ; Maryowski, T. (Polish Consulate). ; Marx, Jacob. ; Mason, W. E. (Metropolitan Museum of Art). ; Massachusetts Historical Society. ; Massachusetts Society for Promoting Agriculture. ; Massachusetts, State Library of. ; Massachusetts Treasury Department. ; Matalene, Henry W.; Matthews, Brander (Chancellor, American Academy of Arts & Letters). ; Maurice, M.; Maverick, W. C.; Mavrogordato, J.; Maxwell, J. S.; Mayer and Muller (Nomisma journal). ; Mazerolle, Fernand. Mc (unsorted). ; McAllister, Martin D.; McCall, D. H.; H. W. McCandless & Co.; McCaulley, Mariana. ; A. C. McClurg & Co., booksellers. ; McCormick, Harry T.; McCoy, Lizzie, T.; McCraven, J. M. P.; McGraw-Hill Co.; McHugh, Edward J.; McKenna, M. L.; McKenzie, Alex. ; McKenzie, R. Tait (University of Pennsylvania). ; McKinley Birthplace Memorial Association. ; McKim, Mead & White (American Academy / Arts & Letters). ; McLachlan, R. W.; McLane, Kate M.; McLaughlin, P. J.; McMahon, B. B.
Meagher, Margaret C.; Means, Philip A.; The Mediaeval Academy of America. ; Medallic Art Co.; Medallic Art Co.; Medallic Art Co.; Medina, Jose. ; Meehan, George. ; Meeker, H. E.; Mehl, B. Max. ; Mehren, E. J. (McGraw-Hill Co.); Meissner, Amelia (Educational Museum Curator, St. Louis Board of Education). ; Mellen, C. S.; Mellon, Andrew (U.S. Treasury Secretary). ; Mercantile Bank of the Americas. ; Merchants’ Association of New York. ; C. & G. Merriam Co.; Merritt, Ferriss P.; Merzbacher, E. Metropolitan Museum of Art. Menconi Brothers. Meuss, Hans. Miami University. ; Milbank, A. G.; Milbank, Samuel R.; Miller, C. V.; Miller, George N.; Miller, Hoyt. ; Miller, Thomas S. (NY Numismatic Club). ; Miller, William J.; Milliken, C. F. (Ontario County Historical Society). ; Mills, A. G.; Mills, William C. (Curator, Ohio State Archaeological and Historical Society). ; Milmine, C. E.; Minnesota Historical Society. ; Mirone, Salvatore. ; Mitchell, William. Moisil, Constantine (Societatea Numismatica Romana). ; Moore, Charles (U.S. Commission of Fine Arts). ; Moore, H. C.; Moore, J. Clark. ; Moore, S. L.; Morgan, Caroline L.; Morgan, Edward B.; Morgan, J. Pierpont (Morgan Library). ; Morgan, William F.; Morgenthau, M. L.; Morison, Horace (Society of the Cincinnati). ; Morris, Joseph L.; Morris, Lewis R.; Morris, Nathalie Bailey. ; Morrison, Norah F.; Morse, C. H.; Morse, Ten Broeck. ; Mosley, Eleanor. ; Mott-Smith, May. ; Mountbatton, _______. ; Mouroux, Anie. ; Moynihan F.; Mulliner, W.; Mueller, Johannes. ; Municipal Reference Library (ANS military exhibition). ; Munsterberger, R. (Kunsthistorisches Museum Wein). ; Murray, James. ; Museu Nacionale Rio de Janeiro. ; Museum of the American Indian. ; Museum of Fine Arts, Boston. ; Muskogee (OK) Public Library. Nachf, Otto. ; Nagai, S. (Director, Imperial Mint of Japan). ; Naon, Romulo (Argentinean Consulate). ; Nathan, Maud. ; National Academy of Art. ; National Academy of Design. ; National Arts Club. ; National Bank of South Africa. ; National Cyclopedia of American Biography. ; National District Telegraph Co.; National Geographic Society. ; National Institute of Arts and Letters. ; National Polo Pony Society. ; National Press Club. ; National Sculpture Society catalog—acknowledgements. ; National Union List of Serials. ; Navarro, J. C. Olina. ; Neandross, Sigird. ; Negri, Ottavio. ; Neil, Will. ; Neilson, Howard S.; Nelles, E.; Nelson, Peter (University of the State of New York). ; New England Society of New York City. ; New England Steamship Co.; New Jersey Historical Society. New York Central Railroad. ; New York City—Board of Education. ; New York City—Internal Revenue. ; New York City—Parks. ; New York City—Public Works. ; New York City—Tercentenary. ; New York City—Water Supply. ; New York Genealogical and Biographical Society. ; New York Historical Society. ; New York Library Club. ; New York Life Insurance and Trust Co.; New York, New Haven & Hudson Railroad. ; New York Numismatic Club. ; New York Public Library. ; New York Society Library. ; New York Special Libraries Association. ; New York State Library. ; New York Telephone Co.; New York Times. ; New York University. ; New York World. ; Newark Museum Association. ; Newark Paper Box Co.; Newark Public Library. ; Newcomb, Howard R.; Newcomb, Waldo. ; ; Box 2.4.2 #63; ; Newell, Adra. ; Newell, Edward T., 1905-1914.; Newell, Edward T., 1915-1919.; Newell, Edward T., 1920-1941.; Newell, Edward T., assorted dates. ; Newell, Edward T., assorted dates. ; Newman, Allan G.; Newman, J. F.; Newspapers. University of Beruit). ; Nielsen, N. C.; Nijhoff, Martinus, bookseller. ; Nissim, Judah A. S.; Noe, Sydney P., 1915.; Nocq, Henri. ; Noetzel, Fred W.; Nomisma. ; Noorian, Daniel Z.; Noorian, J. Nicodemi, G. (Medagliere Milanese). ; Nicolletti, Vincent A.; Nickoley, Edward F. (President, Zado. ; A. B. Nordiska, booksellers. ; Nordman, C. A.; Norlind, Tobias. ; The Norman, Remington Co.; Norsted & Soner. ; Novelli, James. ; Numismatische Gesellschaft (Vienna, Austria). ; Numismatic Society of India. ; Nystrom & Co.
O (unsorted). ; Odon, Gohl (Numizmatikai Kozlony). ; O’Donnell, Hubert. ; Oettinger, Julia W.; Oettinger, S.; Official Metropolitan Guide (New York, New York).Ogden, Nelson (Stevens Institute of Technology). ; Ogden, Robert C.; Ohsa, Robert M. (So. Manchurian Railway Library). ; Oikonomos, G. P. (Director, National Numismatic Museum, Athen, Greece). ; Olcott, E. E.; Olcott, Zita. ; Olcott, George N. (Columbia University). ; Oldenbourg, R.; Olds, Irving S.; Olschki, Leo S.; Omaha (NE) Public Library and Museum. ; Oman, Charles W. (President, Royal Numismatic Society). ; Ongania, Ferdinand. ; Oriental Book Shop. ; Ormond, M. Georgia. ; Orlowski, Alexander. ; Orr, R. B. (Director, Provincial Museum of Toronto). ; Orr, Viola Ellen. ; Orsi, Paolo (Director, R. Museo Archeologico di Siracusa, Syracuse, Sicily). ; Osborn, George (Librarian, Rutgers University). ; Osborn, William C.; Otis, Philo. ; Overall-Hatswell, D. R.; O’Toole, James. ; Owen, William H. (Jr.). ; Oxford University Press. Page, Laura L.; Page, Adeline G.; Paladino, Bruno. ; Palesty, N.; Palmer and Serles (Newell attorneys). ; Paltsits, Victor H. (NY Public Library). ; Pandick Press. ; Pani, Alberto. 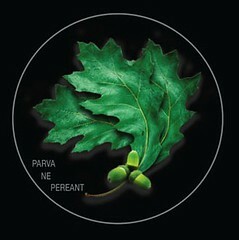 ; Pappavangelon, Themistoclou. ; Parish, Daniel. ; Parent, George W.; Park Museum (Providence, Rhode Island). ; Parker, A. G.; Parker, C. C.; Paris, William F.; Partridge, Sidney L.; Parshina, A. (Librarian, ____ University, Saratov, Russia). ; Parsons, H. Alexander (Honorary Librarian, British Numismatic Society). ; Pasqualini, Mattioli (Ministro della Real Casa, Rome, Italy). ; Paterson (NJ) Mayor. ; Patten, Katharine (Minneapolis Athenaeum). ; Pauli, G. E.; Pazquez-Torne, Luis. ; Peace Dollar, 1922.; Peacock, C. D.; Pearson & Crain. ; Peirce, Hayford. ; Pell, Howland. ; Pell, Stephen H. P.; Pell Collection circular. ; Pelletier, Octave. ; Pennell, Frederick. ; Pennisi di Floristella, Salvadore. ; Penny, Joseph. ; Penton, John A.; Perella, Francesco. ; Perkins, Edward N.; Perkins, Seymour. ; Perkins, William H.; Pernier, Luigi (R. Museo Archiologico, Florence, Italy). ; Perreau, Maurice. ; Pershing, John J.; Peters, Richard (Numismatic and Antiquarian Society of Phila. ); Peterson, Waldo. ; Petsalis, ______. Pharr, Clyde. ; Phillips, Stephen. ; Phoenix, Lloyd. ; Photo-Gelatine Printing Co.; Piccirioli, Attilio. ; Pick, Behrendt (Herzogliches Muenzkabinett, Gotha). ; Pietz, Adam. ; Pinches, John. ; Piper, William C.; Place, P. G. (University of Syracuse). ; Platt, Clement. ; Platt, Dan F.; Plimpton, Russell A. (Director, Minneapolis Institute of Arts). ; R. L. Polk & Co.; Poillon, Arthur. ; Poillon, William. ; Pond, Preston. ; Pond, Shepard. ; Postmaster—New York City. ; Postmaster—Newark, NJ. ; Potter, F. Wayland. ; Povenmire, H. M.; J. C. & W. E. Powers Co.
Prato, Leon. ; Pratt, Frank. ; Pratt, George D.; Prentice, Bernon S.; Preis, H. P.; Press clippings (unsorted). ; Price, Henry Brooks. ; Pridik, Eugen (Director, Hermitage Numismatic Collection). ; Princeton University Library. ; Proctor, William. ; Proskey, David. ; Provincial Museum (Lucknow, India). ; Pryer, Charles, 1905-1913.; Pryer, Charles, 1914.; Pryer, Charles, 1915.; Pumpelly, Raphael. ; Purdy, F. C.; Putnam, E. (Curator, Richester Municipal Museum). ; G. P. Putnam & Son. ; Putorti, Nicola (Museo Civico, Reggio Calabria, Italy). Rackus, A. M.; Rand McNally Co.; Rane, K. R. (Rane’s Museum, India). ; Rand, Charles F.; Rapid Transit Celebration Committee (New York, NY). ; Rassegna Numismatica (Rome, Italy). ; Ratto, Rodolfo. ; Raymond, Wayte. ; Read, William (Mrs.). ; Reed and Barton. ; Regling, Kurt (Kaiser-Friedrich-Museum), 1922-1923.; Reid, Ida M.; Reid, R. L.; Reilly, John (Jr.), 1910-1919.; Reilly, John (Jr.), 1920-; Reilly, John (Jr.). ; Reilly, John (Jr.)—death. ; Reinach, Theodore. ; Reuterdahl, Sigrid (New Jersey College for Women). ; Revista Italiana di Numismatica (Milan, Italy). ; Revue du Vrai et du Beau. ; Reynolds, B. H.; Rhind, J. Massey. ; Rhinelander, Philip. Riba e Hermanos. ; Ricci, Ulysses A.; Ricci, Serafino (R. Museo Numimatico e Medagliere Nacionale di Brera, Milan). ; Richard Oscar. ; Richardson, John. ; Richmond, Charles A.; Richter, Gisela M. A.; Rico y Cia, Garcia. ; A. Riechmann & Co.; Riley, H. E.; Risdon, F. Ray. ; Ritsos, Michel. ; Roper, Daniel C. (Commissioner, Internal Revenue, U.S. Treasury Department). ; Rivista Italiana di Numismatica (Milan, Italy). ; The Robbins Co.; Roberts, Elizabeth M. (Concord Art Association). ; Robertson, Robert. ; Robinson, Charles A. (Jr.). ; Robinson, Duane. ; Robinson, Edwin P.; Robson & Adee. ; Rochester Numismatic Association. ; Roe, Frank. ; Rolland, H.; Rogers, Daisy F.; Rogers, Edgar. ; Rogers, Norman (American Legion). ; Rogers & Krull. ; Rollman, Henry. ; Roman Bronze Works. ; Romania—Consul General. ; Romeike, Henry. ; Rosenberg, H. Sally. ; Ross, Christa A.; Rossi, Angelo J.; Rossi, Fillipo (Medagliere Milanese, Milan, Italy). ; Roth, Frederick G. R.; Rothenstein, M.; Rottner, G. H.; Rowe, L. Earle (Director, Rhode Island School of Design); Rowland, M. T.; Ruch, Clarence. ; Ruhl & Co.; Rumford Press. ; Russell, Walter. Saltus, J. Sanford, 1892-1908.; Saltus, J. Sanford, 1910.; Saltus, J. Sanford, 1911.; Saltus, J. Sanford, 1912.; Saltus, J. Sanford, 1913.; Saltus, J. Sanford, 1914.; Saltus, J. Sanford, 1915.; Saltus, J. Sanford, 1916.; Saltus, J. Sanford, 1917.; Saltus, J. Sanford, 1918.; Saltus, J. Sanford, 1919.; Saltus, J. Sanford, 1920.; Saltus, J. Sanford, 1921.; Saltus, J. Sanford, 1922.; Saltus, J. Sanford, 1922-25.; ; Box 2.6.1 #76; ; Sailor, R. W. (Cornell Publications Printing Co. / Cayuga Press). ; Saint-Gaudens, Augustus (Mrs.). ; St. Louis Coin and Stamp Co.; St. Louis Numismatic Society. ; St. Louis Public Library. ; St. Paul (MN) Public Library. ; Salemme, Antonio. ; Sambon, Arthur. ; P. & P. Santamario. (Rome, Italy). ; Santi Anna, ______ (Baron). ; Saric, L. W. (Newark Fire Insurance Co.). ; Sartiges, ______ (Premier Secretaire d’Ambassade). ; Sather Gate Book Shop. ; Satterlee, Herbert L.; Saxton, Burton H.; Sawyer, Edward W.; Scaifa, Walter B.; Schaefer, Hans. ; Scharff, John M.; Schervee, H. (Schervee Studios). ; Schiff, Jacob H.; Schiff, Mortimer L.; Schiapparelli, E. (R. Museo di Antichita, Turin, Italy). ; Schlosser, Richard. ; Schmahl, Roy C.; Schmidt, Charles R.; Schmidt, Ernst C.; Schmidt, G.; Schmuck, T. K.; Schoenhof Book Co.; Schoetz & Parrhyius. ; Schoff, Wilfred H. (Commercial Museum). ; Schuler, Hans. ; Schulman, J.; Schweitzer, B. (Archaeologisches Institute der Universitaet, Heidelberg). ; Scott, John M. (Pennsylvania Society of Sons of the Revolution). ; Scott, Walter. ; Scott, W. S.; Scoville, Herbert. ; Charles Schribner’s Sons. Seaby, Herbert A. (B. A. Seaby, Ltd). ; Seederer-Kohlbusch, Inc.; Seidler, Herbert H.; Serafini, Camillo (Director, Cabinetto Numismatico Vaticano). ; Serdy, Michael. ; Sesquicentennial International Exhibition Committee, 1926.; Severance, Frank H. (Secretary, Buffalo Historical Society). ; Severeano, G.; Shakallis, M. K.; Shapley, John (New York University). ; Shear, T. Leslie. ; John V. Sheehan & Co.; Sheldon, A. E. (Nebraska State Historical Society). ; Shellenberger, Grace [Davenport (IA) Public Library]. ; Sheridan, Clare. ; Shortridge, S. M.; Shrubbs, H. T. (Fitzwilliam Museum, Cambridge University). ; Shuart, Louise (Curator, Washington’s HQ State Museum, NY). ; Shultz, Norman. ; Simmons, Joseph. ; Sinclair, D. B.; Sinclair, Henry A.; Sinz, Walter A.; Sliepen, Ch. ; Smith, David E. (Teachers College, Columbia University). ; Smith, Elliott. ; Smith, Fred S.; Smithsonian Institution. ; Snoeck, M. W.; Snow, John H.
Societa Numismatica Italiana. ; Societe Francaise des Amis de la Medaille. ; Societe Royale de Numismatique (Brussels, Belgium). ; Societe Suisse de Numismatique (Geneva, Switzerland). ; Society of Economic Geologists. ; The Society of Medallists. ; Society for the Promotion of Hellenic Studies. ; Soderstrom, Alfred (Swedish Historical Society of America). ; Sons of the Revolution of New York. ; Sotheby, Wilkinson & Hodge. ; Soutzo, Michel (Prince, Romania). ; Sorensen, M.; South Manchuria Railway Co.; Special Libraries Association. ; Spencer, Dwight. ; Spencer-Churchill, E. J.; Speyer, James. ; Spicer-Simson, T.; Spink & Son, Ltd.; Spink, Edwin (Spink & Son, Ltd.). ; Spinazola, ________ (Director, Museo Nazionale, Naples). ; Sponzel, J. (Staatliches Muenzkabinett, Dresden). ; Springsted & Adamson. ; ; 2.6.4 #79; ; Stafford, Morgan. ; Starr, Charles S.; Starr, Louis M.; Stearns, Foster. ; Stebbins, Eunice B.; G. E. Stechert Co.; E. Steiger & Co., booksellers. ; Stephenson, Charles W.; Stevens, Edward F. (Librarian, Pratt Institute). ; Stevens, Harry E.; Stevens, Leo E.; Stevenson, E. L.; W. K. Stewart Co.; Stewart, W. A. W. (Seawanhaka Corinthian Yacht Club). ; Stewart, William Rhinelander. ; Stewart Weir. ; Stickney, Albert (Jr.). ; Stikeman & Co., bookbinders. ; Stillemans, _______ (Msgr.). ; Stillman, C. C.; F. W. Stillman Co.; Stimmel Brothers. ; Stonborough, J.; Stone, Charles G. (Connecticut Society, Sons of the Revolution). ; Stone, Edmund J.; Stone, W. C. (Springfield Public Library). ; Storer, Malcolm. ; Stow, Charles (Editor, Christian Science Monitor). ; A. Stowell & Co.; Stowell, J. W.; Stowell, Ruth. ; Strauss, Harry. ; Strena Buliciana. ; Strohn, Adam (Librarian, Detroit Public Library). ; Strumer, Samuel. ; Strunz, William F.; Sturgio, F. K.; Sulgrane Institution. ; Sullivan, Cornelius J.; Sullivan George H.; The Surney. ; Sutton, George W. (Jr.). ; Svoronos, A. (Le Musee National de Numismatique, Athens). ; Svoronos, Jean N. (Director, National Numismatic Museum, Athens). ; Swanson, Jonathan M.; Swasey, Ambrose. ; Swedish Mint (Stockholm, Sweden). ; Swedish Numismatic Society. ; Swem, E. C. ; Swets & Zeitlinger. ; Sykes, G. E.; Sykes, P.
Tack, Augustus V.; Taft, Henry W.; Tanzer, Helen H. ; Tapley, Henry F.; D. B. Taraporevala Sons & Co.; Tatman, Charles T.; Taylor, Robert L.; Teall, Gardner. ; Ten Eyck, James. ; Tenney, Edward. ; Thal, Carl (Curator, Milwaukee Public Museum). ; Thalheimer, Sidney. ; Thebaud, Paul G.; Thom, Robert W.; Thomas, Charles G. M.; Thomas R.; Thompson & Norris Co.; Thompson, Albert W.; Thompson, Frederick (Mrs.). ; Thompson, John H.; Thompson, W. Gilman. ; Thompson, Grace [Librarian, East Orange (NJ) Public Library]. ; Thorne, W. J.; Thorndike, A. H.; Thorson, Nelson. ; Thresher, E. S.; Thurston, R. C. Ballard. ; Tice & Lynch. ; Tiernann, Bernard. ; Tilden, George L.; Tiffany & Co.; Tilden & Thurber. ; Tilney, J. S.; Toplitz, Robert L.; Torrey, Charles C.; Torrey, Fred M.; Tourneur, Victor (Societe Royale Numismatic, Brussels, Belgium). ; Tracy, Louis. ; Treal, C. W.; Treat, Robert W.; Tremblay, P. O.; Triebel, F. E.; Triggs, A. B.; Towbridge, Alfred P.; Tsangaris, V. C.; Tuck, Edward. ; Tucker, Lauri (Bibliothek das Universitas, Helsinki, Finland). ; Tuthill, Luther B. Box 2.6.7 #82 U (unsorted). ; Underhill, Adelaide (Librarian, Vassar College Library). ; Underwood, Oscar (U.S. House of Representatives). ; United States—Copyright Office. ; United States—Customs Office. ; United States—Government Printing Office. ; United States—Commerce and Labor, Department of. ; United States—Interior, Department of. ; United States—State, Department of. ; United States—Treasury, Department of. ; United States—Treasury, Department of—Mint. ; United States—Navy, Secretary of. ; University of California at Berkeley. ; University of Chicago. ; University of Cincinnati. ; University of Glasgow. ; University of Illinois. ; University of Kansas. ; University of Pennsylvania. ; University of Padau. ; University of Wisconsin. ; Unz & Co., 1912.; Unz & Co., 1913.; Unz & Co., 1914.; Unz & Co., 1915.; Unz & Co., 1916-1918. V (unsorted). ; Vail, A. W.; Vail, William. ; Valentine, David W.; Valentine, G.; Valentine, W. H.; Van Amringe, Guy. ; Van Brunt, A. ; Van Buren, A. W. (Librarian, American Academy in Rome). ; Van Deusen, Albert H.; Van Deventer, H. B. (Mrs.); G. Broes Van Dort Company. ; Van Dyke, John C.; van Kerkwyk, A. O. (Director, Royal Coin Cabinet, The Hague, Holland). ; Van Norden, Warner. ; Van Nappen, R.; D. Van Nostrand Co.; Van Rensselaer, Schuyler (Mrs.). ; Van Seebeck, Maurice. ; Van Trappen, Raoul. ; Van Voast, Horace. ; Van Wert, William. ; Van Winkle, ________. ; Vanderbilt, Cornelius. ; Vanderbilt, William K.; Vanderbilt, William K. (Mrs.). ; Vanderlip, Frank A.; Vaupel, William. ; Verlag des Boersenvereins der Deutschen Buchhaendler zu Leipzig. ; Vernon, Frederic. ; Vernon, Paul E.; Verplanck, William E.; Victor Emanuel (King, Italy). ; Vicenzi, C. (Director, Soc. Numismatica Italiana). ; Villalon, Jose R.; Villard, A. E.; Ville, Q. B.; Vincent, George A.; Vingaprova, Raymond. ; The Vitagraph Company. ; Viti, Marcel A.; Vitry, G.; Voetter, Thomas W.; Vogelsang, Philip. ; von Bahrfeldt, Max; von Zambaur, Eduard. ; Voynow, Edward B.; Voss, Reuben T.; Vreeland, N.
Wade, J. H.; Wadepuhl, Otto. ; Wadley & Smythe. ; Wadlin, H. (Boston Public Library). ; Wainwright, J. M.; Waitt, Joseph E.; Wakeman, A.; Walker, A. Stanley (College of Wooster, Wooster, Ohio). ; Walker & Chambers. ; Walker, William J.; Wall, Alexander J. (Librarian, New York Historical Society). ; Walroth, H. A. (Director, Royal Mint, Stockholm, Sweden)..; Walsh, Joseph. ; Walters, Henry. ; Wanamaker, Rodman (NYC Mayor’s Committee for the Reception of Distinguished Visitors), 1919.; Warburton, Thomas. ; Warburg, Felix M.; Ward, Frank B.; Warner and Swasey Co.; Warner, William E.; Warner Olin L.; Warren, Richard F.; Warren, Whitney. ; Warnshuis, A. L. (National Missionary Conference, Shanghai), 1913.; Waterbury, John I.; Wayte, William. ; Webb, Grace. ; Watrous, Harry W.; Watson, Sue E.; Waverly Press. ; Way, James. Weber, Shirley H. (Princeton University). ; Weeks, William R.; Weeks, William R. (Mrs.). ; Wehn, James A.; Weight, E. M.; Weil, Henri. ; Weinert, Albert. ; Weinman, A. A.; Weissbach, F. H. (Universitats-Bibliothek Leipzig). ; Welch, William M.; Welcher, Emma Parke Avery. ; Wendt, Julia B.; West, Allen B. (University of Cincinnati). ; West, Allen B.; Westermann, W. L. (Columbia University). ; Westervelt, Leonidas. ; Westhorpe, Arthur W.; Westinghouse, H.; Wetmore, William. Box 2.7.5 #87 White, Herbert (CT Society of the Sons of the American Revolution). ; White, Hugh W. (American Presbyterian Mission, China). ; White John J.; Whitehead & Hoag Co.; Whitehead, R. B.; Whiting, Frederick. ; Whiting, Giles. ; Whitney, Caspar. ; Whittemore, Thomas. ; Whiton, John M.; Wickes, John Y.; Wicks, William R.; Wild, Henry (Williams College). ; Wiley, William A.; Wilharm, G. T. E.; Wilkin, Joseph M.; Willey, W. L.; Williams, Alice. ; Williams, D.; Williams, E. M. (Mrs.). ; Williams, Harry F.; Williams, John. ; Williams, Linsley (National Tuberculor Association). ; Williams R. H.; Williams, A. C. (Medal Clerk, U.S. Mint, Philadelphia). ; Williamson, W.; Wilmerding, Julia. ; H. W. Wilson Co.; Wilson, W. W. C.; Wilson, Barker and Wager (Spring probate). ; Winans, Charles S. (U.S. Consul, Czechoslovakia). ; Wingate, George W. (Victory Hall Association). ; Winship, Addison L.; Winter, Ezra. ; Winthrop, Grenville L.; Wisconsin State Historical Society. ; Wisconsin State Normal School. Wolcott, H. R.; Wolf, Estelle (Ms.). ; Wood, Howland. ; Wood, Howland—death of. ; Wood, Richard D.; Wood, Walter. ; Wood, William C.; Woodbridge, Freeman. ; Woodbury, C. J. H.; Woodbury, John C.; Woodhull, Oliver J. (Mrs.). ; Woodin, William H.; Woodward, A. M. Tracey. ; Woolsey, L. J.; Woolverton, William H.; Worchester (MA) Art Museum. ; Worchester, Edwin D.; Work, Eunice (Wheaton College). ; World Metric Standardization Council. ; Wormser, Moritz. ; Wormser, Moritz (Mrs.). ; Worthen, T. W. D.
Wray, Henry Russell. ; Wright, E. E.; Wright, H. Nelson. ; Wright, Rebecca (Vermont Historical Society). ; Wulfing, John Max. ; Wurtzbach, Carl. ; Wykes, Hunter (Pilgrims Society of the United States). ; Wyckoff, Edward G.; Wyckoff, Peter B.; Wyman, Arthur C.; Wymer, W. G.; Wyman, Walter C.
Yale University. ; Yale University Press. ; Yawger, H. H. (American Numismatic Association). ; Yen, U. Y.; Yoder, Albert H.; York, Edward P.; Yosemite Museum. ; Young, A. C.; Young, Mahonri. ; Young, William E.; Younglove, Florence L.; Z (unsorted). ; Zabala, Romulo (Museo Bartolomeo Mitre, Buenos Aires). ; Zabriskie, Andrew C. (Mrs.). ; Zabriskie, Christian A.; Zabriskie, George A.; Zamora, Crispulo. ; Zantal, Ladislas E.; Zerbe, Farran. ; Zettler, Emil R.; Zimmerman, Jeremiah (Syracuse University). ; Zink, ____ (Bundessammlung von Medaillen, Muenzen und Geldzeichen, Vienna). ; Zograph, Alexander (The Hermitage). ; Zonaras, Cleanthis. A.; B.; Baldwin, A. H.; Baer (Joseph) & Co.; C.; Cammann, George (Mrs.); Cox, Dorothy. ; D.; E.; Eidlitz, Robert J.; F.; G.
H.; Huntington Free Library and Reading Room. ; I.; J.; K.; L.; Libraries. ; M.; Medallic Art Company. ; N.; ; Box 2.8.43 (1932); ; O.; P.; Q.; R.; S.; T.; U.; V.; W.; Work, Eunice. ; Wormser, Moritz. I.; Intelligencer Printing Company. ; J.; K.; L.; Libraries. ; M.; Medallic Art Company. ; Moser, Arthur H.; N.; National District Telegraph Company. ; Newell, Edward T.; O.; P.; Pond, Shepard. ; Pradeau, A. F.; Q.; R.; Regling, Kurt (Kaiser Friedrich Museum). ; Robinson, E. P.
S.; Seaby (B.A. ), Ltd.; Spink and Son. ; T.; Tuttle, Morehouse & Taylor Company. ; V.; U.; W.; Waverly Press. ; Weber, Shirley H.; West, Allan B.; Work, Eunice. ; Wormser, Moritz. ; Y-Z. A.; American District Telegraph Company. ; B.; Baldwin (A.H.) and Son, Ltd.; Banta Publishing Company. ; Bellinger, Alfred R.
C.; Cammann, George P. (Mrs.). ; Central Hanover Bank. ; Council. ; Cox, Dorothy. ; D.; Drowne, Henry Russell. ; Duffield, Frankfurter. ; E.; F.; G.; Gillingham, Harrold E.
H.; Harlem Printing Company. ; Hispanic Society of America. ; Huntington, Archer M.; I.; Intelligencer Press. ; J.; K.; L.; Lancaster Press. ; Libraries. ; M.; Medallic Art Company. ; N.; Newell, Edward T.; Nussbaum, Hans. ; O.; P.; Pond, Shepard. ; Pradeau, A. F.; Q.; ; Box 3.1.6 (1934); ; R.; Ravel, O.; Raymond, Wayte. ; Regling, Kurt (Kaiser Friedrich Museum). ; Robinson, E. P.; S.; Spink and Son, Ltd.; T.; U.; V.; van Kerkwijk, A O.; W.; Waverly Press. ; Weber, Shirley H.; Work, Eunice. ; Wormser, Moritz. ; Y-Z. A.; Applications for employment. ; B.; Baldwin (A.H.) & Son. ; Banta Publishing Company. ; C.; Cammann, George P. (Mrs.). ; Central Hanover Bank. ; Coach, Eunice Burr. ; Council memoranda. D.; Duffield, Frankfurter. ; E.; Eidlitz, Robert J.; F.; G.; Gillingham, Harrold. H.; Hildreth Printing Company. ; Hirsch, Jacob. ; Hispanic Society of America. ; Huntington Library and Reading Room. ; I.; Intelligencer Printing Company. ; J.; K.; L.; Lancaster Press. ; Libraries. S; Scoville, Herbert. ; B.A. Seaby, Ltd.; Spink and Son, Ltd.; T; U.; Vlasto, Michel P.; W; Waverly Press. ; Weber, Shirley H. ; Work, Eunice. ; Wormser, Moritz. ; Y-Z. A.; Annamite gold coins. ; Applications for employment. ; Acknowledgements. ; B.; Baldwin (A.H.) & Sons, Ltd.; Bellinger, Alfred R.; British Numismatic Society. ; Bullowa, David M.; C.; Cammann, Jean B.; Central Hanover Bank. ; Clement, Paul. ; Council memoranda. ; D.; E.; Eidlitz, Robert J.; Elder, Thomas. F.; G.; Gillingham, Harrrold E.; H.; Hispanic Society of America. ; Huntington, Archer M. ; Intelligencer Printing Company. ; Ives, Herbert E.; K.; L.; Libraries. ; M.; Medals. ; Moser, Arthur H.; ; Box 3.3.13 (1936); ; N.; New England Preparatory Schools. ; Nussbaum, Hans. O.; P.; Personal. ; Quaritch (Bernard), Ltd.; R.; Raymond, Wayte. ; Robinson, E. S. G. (British Museum). ; S.; Santamaria, P&P. ; Smith, Elliott. ; Spink & Son, Ltd.
T.; Universities. ; W.; Waverly Press. ; Westbrook Publishing Company. ; Work, Eunice. ; Wormser, Moritz. A.; American Council of Learned Societies. ; B.; Bookbinders. ; Brunner will. ; C.; Cahn, Herbert A.; Cammann, Jean. ; Commission International de Numismatique. ; Council memoranda. ; D.; Duffield, Frankfurter. ; E.; Eidlitz (Marc) & Son, Inc.
O.; P.; Publications Committee. ; Q.; R.; S.; Spink & Son, Ltd.; T.; U.; V.; W.; Wormser, Moritz. A.; American Council of Learned Societies. ; Bellinger, Alfred R.; British Museum. C.; Central Hanover Bank. ; Clapp, George H.; Council memoranda. ; D.; Duffield, Frankfurter G.; E.
F.; Fecht, A. J.; G.; Gillingham, Harrold E.; H.; Hildreth, E. L.; I.; Ives, Herbert E.
J.; K.; L.; Laferta. ; Libraries. ; M.; Mc. ; Medallic Art Co.; Meriden Gravure Co.; N.; O.
S.; S.; T.; Taylor. ; U.; V.; W.
A.; American Council of Learned Societies. ; American Council of Learned Societies. ; B.
C.; Central Hanover Bank. ; D.; E.; F.
G.; G.; Gillingham, Harrold E.; H.; I.; J.
K.; L.; M.; Mc. ; Milbank, Samuel R.
N.; O.; P.; Q.; R.; Raymond, Wayte. S.; Spink & Son. ; T.
U.; V.; World’s Fair. ; X-Z. A. Addressograph stencils. ; American Council of Learned Societies. ; American District Telegraph Company. ; Applicants. ; B.
O. P. Pond, Shepard. ; Publicity. ; R.; S.; U.; Arrow Service. ; T.; Sales Tax. ; Spink. ; V.; W.; X-Z. A.; B.; American Council of Learned Societies. ; American District Telegraph Company. ; Addressograph. ; Applicants. ; Central Hanover. ; Council. ; D.; E.; F.; Gift acknowledgements. ; Gillingham. ; G.; Hospital. ; H.; I.; J.; K.
L.; Mc/Mac. ; Milbank, Samuel. ; M.; Newell, E.T. ; Noe, Sydney. ; Numismatic Notes and Monographs/Numismatic Studies. ; N.; P.; Pond, Shepard. ; Robinson collection. ; Q.; Spink. ; T.; U.; V.; Wants. ; X-Z. Applicants. ; American District Telegraph Company. ; Addressograph. ; American Council of Learned Societies. ; A.; B.; C.; Clapp, George; Council. ; D.; E.; F.; G.; Gillingham. ; Gift acknowledgements. ; H.; I.
J; K; L; M; Milbank, Samuel R.; N; O; P; Pond, Shepard; Q; R; S; T; U; V; W; XYZ. Addressograph. ; American Council of Learned Societies. ; American District Telegraph Company. ; Applicants. ; A.; B.; Central Hanover Bank. ; Council. ; C.; D.; E.; F.; Gift acknowledgements. ; Gillingham, Harrold. ; G.; H.; I.; J.; K.; L.; Milbank, Samuel. ; M.; Noe, Sydney. ; N.; O.; Pond, Shepard. ; Publicity. Q.; R.; S.; Sigler. ; S.; T.; U.; V.; W. Addresses. ; Addressograph. ; Applicants. ; A.; B.; Clapp. ; Central Hanover Bank. ; Council. ; C.; D.; Exhibition, 1943-44.; E.; F.
Gift acknowledgements. ; Gillingham, Harrold. ; G.; H.; I.; J.; K.; L.; Mac/Mc. ; M.; Newell Committee. ; Noe, Sydney. ; N.; O.; Pond, Shepard. ; Publicity. ; P.; Q.; R.; S.; T.; U.; V.; West, Louis C.; W.; X-Z. Bullowa. ; Bullowa. ; B.; Dewing. ; D.; D.; D.; E.; Gillingham. ; Grant. ; G.; Huntington. ; H.; I.; J.
Numismatic Notes and Monographs. ; Office supplies. ; O.; Pond, Shepard. ; Powills, M.A. ; Publication Committee. ; P.; Q.; R.; Supplemental folder on stencils. ; S.; T.; U.; Vermilya-Brown. ; V.; W.; X-Z. Acknowledgements. ; American Council of Learned Societies. ; A.; Baldwin. ; Bellinger. ; Blackwell. ; Bluestone. ; Bolender. ; Bourgey. ; Baldwin-Brett, Agnes. ; B.; B.; Casa Pardo. ; Ciani. ; Clapp. ; Clarke, T.J.; C.; Davenport. ; Dewing. ; Douglas. ; D.; D.; Eklund. ; E.; E.; Feuardent. ; Florange. ; F.; F.; Gettys. ; Geunther, Paul. ; Gillingham, Harrold. ; Glendining. ; G.; G.; Hostetler. ; H.; H.; International Antiquariaat. ; I.; I.; Jorgensen. ; J.; J.; K.; K.; Leroux, Ernest. ; Le Soudier. ; Luzac. ; L.; Mac/Mc. ; Mc. ; Medallic Art Company. ; Mehl, Max. ; Milne, J.G. ; Mosher, S.; Munzen and Medaillen. ; M.; M.; Nardecchia, Libreria Gia. ; Newell, E.T. (Mrs.). ; Noe, Sydney. ; N.; N.
Office Des Editions Francaises. ; Oxford University Press. ; O.; O.; Pond, Shepard. ; Pagani, A.; Page, Alfred. ; Platt, Clement. ; Pond, Shepard. ; Pradeau. ; Probsthain. ; P.; P.; Quaritch, B.; Q.; Q.; Ratto. ; Raymond, Wayte. ; Reagan, Lewis M.; Risk. ; Roberts, John T.; R.; R.; Sanders. ; Santamaria. ; Santos Leitao. ; Schwabacher, W.; Simpson, A.C.; Spink. ; S.; S.; Tinchant, P.; U.; U.; V.; V.; W.; W.; West, Louis. ; X-Z. Intelligencer. ; International Antiquariaat. ; I.; Jorgensen. ; J.; K.; L.; Mc. ; Maiuri, Amadeo. Medallic Art Company. ; Meritt, B.D. ; Merrymount Press. ; Merrymount Press. ; Merrymount Press. ; Milne, J.G. ; Mosher, S. M.; Newell, Edward (Mrs.). ; Noe, Sydney P.; N.; O.; Pond, Shepard (Mrs.). ; Pradeau. ; Publication Committee. ; P.; Raymond, Wayte. ; Regan, Louis M.; Risk. ; Robert, L.; Roberts, John T.; R.; Q.; Santamaria. ; Simpson, A.C.; Sutherland, C.H.V. ; S.; T.; U.; Vermilia-Brown. ; V.; West, Louis. ; W.; Y.; Z.; A.; B.; C.; D.; E.; F.; G.; H.; I.; J.; K.; L.; M.; N.; O.; P.; Q.; R.; S.; T.; U.; V.; W.; X-Z. Acknowledgements. ; Addressograph. ; American Council of Learned Societies. ; A.; Bellinger. ; Bullowa. ; B.; Clapp. ; Clarke, T. James. ; C.; Dewing. ; E.; Fecht estate. ; Fraleigh, W.N. ; F.; Gillingham. ; Guild, William. ; G.; Huntington. ; India – dealers; I. Acknowledgements. ; American Council of Learned Societies. ; Bullowa, D.M. ; Clarke, T. James. ; Dewing. ; D.; E.; F.; Fraleigh, William N.; Frye. ; Gillingham. ; G.; Hill. ; Huntington. ; H.; India - dealers. ; I.; J.; K.; L.; Mailer's. ; Merrymount Press. ; Milbank. ; M.
A.; Accra. ; Bullowa. ; DeNise, D. (Mrs.). ; E.; F.; Gautier. ; G.; H.; I.; J.; K.; L.; Mc. ; Mailer's. ; Milbank. ; M.; N.; O.; P.; Q. Acknowledgements. ; American Museum of Natural History. ; A.; B.; C.; CARE. ; D.; E.; F.; H.; I.; J.; K.; L.; M.; Mc. ; Milbank, Samuel. ; N.; Noe, Sydney. ; O.; P.; Pennsylvania Academy of Fine Arts. ; Q.; R.; S.; T.
U.; UNESCO. ; W.; West, Louis C.; V.; X-Z. ; A.; B.; C.; D.; E.; F.; G.; H.; I.; J.; K.; L.; M.; N.; O.; P.; Q.; R.; S.; T.; U.; V.; W.; X-Z. S.; T.; U.; V.; W.; West, Louis C.; X-Z. ; A.; B.; C.; D.; E.; F.; G.; H.; I.; J.; K.; L.; Mc. ; M.; N.; O.; P.; Q.; R.; S.; T.; U.; V.; W.; X-Z. A.; B.; C.; Cancio, Leopoldo; D.; Dewey, Arthur to Louis West regarding Adra Newell; E.; F.; G.; H.; Huntington, Archer M.; I.; Ives, Herbert. ; J.; K.; L.; Mc. ; M.; Milbank, Samuel. ; N.; Noe, Sydney. ; O.; P.; Q.; R.; Simpson, A. Carson. A.; B.; C.; D.; E.; F.; L.S. Forrer, Ltd.; G.; Ganz, Edward. ; H.; Huntington, Archer M.; I.; Ives, Herbert. ; J.; K.; L.; M.; Mc. ; Milbank, Samuel. ; Miles, George C.; N.; O.; P.; Q.; R.; S.
B.A. Seaby, Ltd.; Spink & Son, Ltd.; P&P Santamaria. ; Simpson, A. Carson. ; Schulman, Hans. ; T.; U.; V.; West, Louis C.; W.; X-Z. ; A.; B.; C.; D.; E.; F.; G.; H.; I.; J.; K.; L.; M.; N.; O.; P.; Q.; R.; S.; T.; U.; V.; W.; X-Z. A.; Ba-Bh. ; Bi-Bz. ; Bullowa, C.E. ; C.; D.; E.; F.; L.S. Forrer, Ltd.; Gans. ; G.; Gitelson. ; Huntington, Archer M.; H.; I.; India. ; J.; K.; L.; M.; Mc. ; Milbank, Samuel. ; N.
O.; P.; Q.; R.; P&P Santamaria. ; Schulman, Hans. ; Simpson, A. Carson. ; B.A. Seaby, Ltd.; Spink & Son. ; T.; U.; V.; West, Louis C.; W.; X-Z. ; A.; B.; C.; D.; E.; F.; G.; H.; I.; J.; K.; L.; M.; N.; O.; P.; Q.; R.; S.; T.; U.; V.; W.; X-Z. Seven scrapbooks that appear to have been assembled and kept by an officer or administrator of the Society. Scrapbook 1, 1858-1902: Contains newspaper clippings on topics such as Society meeting announcements, including its first meeting in the home of Augustus B. Sage; newly proposed U.S. coinage such as the Indian Head cent; the collections of Lyman H. Low, R. Hobart Smith, Henry Russell Drowne, and James Oliver; the Central Park obelisk (Cleopatra’s Needle), Henry H. Gorringe, and Gaston L. Feuardent ; medals of Christopher Columbus, Ulysses S. Grant, and Prince Henry; the Paris Exposition of 1900; William Raymond Weeks; and statements of business (coinage and deposits) from mints and assay office. Also includes a pasted in front page of the circular for the Prince Henry Medal (1902); two loose sheets from the New-York Daily Tribune with the articles “The Currency,” (September 4, 1867) and “The Obelisk’s Corner Stone” (October 10, 1880). Also includes an embossed foil seal of the Society and other examples of the seal; an embossed foil seal of the Madeleine Consolidated Mining & Milling Co. (Colorado); a ticket for the presentation of a medal to Cyrus W. Field (1861); and a blue ribbon having to do with the Grant medal with “April 23rd, 1897” on it. Scrapbook 2, 1864-1915: Clippings and pages from publications on topics relating to the Society such as meetings, Grant medal, Columbus medal, the Society’s exhibition of medals coinciding with World’s Columbian Exhibition (1893) and at the Paris Exposition (1900), the purchase of coins of the British Museum put on display at the Lotus Club and Boston Art Club, a lecture on Royal Egyptian jewelry by Henry de Morgan, the Society’s move to Audubon Terrace, the establishment of the School for Coin and Medal Designing and Die Cutting (1901), a “History of Presidential Medals,” by Gustav Kobbé (Sunday Magazine, October 16, 1904), new coinage designs (1907), the Daniel Parish Jr. donation, the International Exhibition of Medallic Art (1910), a large number of articles on the Joan of Arc exhibition and statue (1913), U.S. and Colonial coins exhibition (1914), Mexican coin exhibition (1914), a 31-pound Swedish coin (1914), coins and medals of warring nations exhibition (1914-1915), peace medals (1915), and the collections of Robert Hewitt Jr., William Poillon, J. Pierpont Morgan, and other members. Also, death notices or obituaries for Woodbury Gersdorf Langdon, Walter B. Lawrence, Robert Hewitt, William F. Havemeyer, J.M. Ceballos, Theodore Low De Vinne, James Buchanan Nies, and others. Scrapbook 3, 1914-1915: Contains clippings on numismatics generally and on the activities of various numismatic organizations, many from a clipping service. Topics include Archer M. Huntington’s gifts for the development of Audubon Terrace; Joseph C. Mitchelson’s gift of his collection to the state of Connecticut; the theft of coins from Waldo Newcomer; Huntington and his wife being arrested as spies; a full page on John Flanagan, sculptor; and various death notices or obituaries for individuals such as Jonas Coolidge Hills, J. Madison Drake, Richard A. Canfield, John Hull, Temple Bowdoin, Charles Allis, Winfred Robert Martin, William Theophilus Rogers Marvin, George Moore Smith, Charles T. Wills, Isaac E. Gates, Foster Ely, Charles J.H. Woodbury. Also found are “New Currency,” by the humorist Eli Perkins “Melville Landon,” with images of “money for lady crusaders” and “money for burglars,” among others; a facsimile of the new United States four per cent bond; a flier on the death of Edward Cogan; and a photograph of S. Hudson Chapman from a publication. Also includes long articles on New York State historic sites such as Fort Ontario, Sleepy Hollow and the capture of John Andre, and Fort Ticonderoga, which was owned by Society member William Pell. Scrapbook 4, 1894-1929: Contains clippings and pages from publications, mostly having to do with military medals, medals of honor, insignia, foreign orders, and royalty, all reflecting the interests of Society member J. Sanford Saltus who wrote some of the notes accompanying the clippings. Also includes some items of general interest regarding the Society, such as death notices or obituaries for William Poillon, James T. Pyle, Asher D. Atkinson, Louis Comparette, Samuel Hudson Chapman, and Baumann Lowe Belden. There is a folder of loose clippings with related materials, such as death notices for Robert C. Ogden and William R. Powell. Scrapbook 5, 1867-1925: Contains printed circulars (cards and sheets) announcing ANS meetings and programs. Scrapbook 6, 1859-1877: Contains newspaper clippings; informational flyers and advertisements; price lists; photos and photo engravings of both coins and medals; and articles about socio-economic issues relating to money. Handwritten at the back of the last leaf: “Pages – sixty-three leaves text twenty-nine leaves blank – no leaves missing. Bound volume collated Nov. 6, 1914” Highlights include: Article by Charles Dickens in “Current Coin” (1876); “American Journal of Numismatics and Bulletin of the American Numismatic and Archeological Societies”, vol. IV, no. 5 (1869); numerous articles and advertisements concerning the business of Edward Cogan including a pointed letter of retort from Cogan (Feb. 2, 1869) to Mason & Company concerning their sale of the Randall collection in which Cogan vehemently defends his integrity; price list published by medalist John W. Kline describing medals of famous Americans; numerous newspaper articles dealing with coin discoveries and counterfeiting including an article (with picture) describing a counterfeit coin detector (1877); advertisements for the sales of Washington centennial medals and centennial medals of 1876. Also includes newspaper articles dealing with the history of metal coinage and paper money; the San Francisco coining press; articles on ancient methods of coining from “The Practical Mechanic’s Journal” (10/1/1868); material from Frank Leslie’s Illustrated Newspaper (Apr. 10, 1875) describing a gold medal of France created as a tribute to the abolitionist John Brown. And also includes an interesting article from the New York Sun (Feb. 26, 1877) discussing President Grant’s last Sunday in the Executive Mansion; and a mock advertisement, with pictures, for satirical currency created by humorist Melville D. Landon, AKA “Eli Perkins” (1839-1910). Scrapbook 7, 1906, 1907: With only eleven pages, scrapbook contains newspaper articles mostly collected in 1906 and some few articles from 1907. The cover of the scrapbook has affixed the book template of the American Numismatic and Archeological Society (ANAS). Material consists of newspaper articles, photographs, and announcements of numismatic-related events, including commemorative medals authorized by the ANAS celebrating famous Americans. The newspapers represented include: New York Sun, New York Herald, Evening Post, and many smaller circulation newspapers from New York and other states. Many articles were provided by the Manhattan Press Clipping Bureau which had offices in New York, Paris, and London. Highlights include: ANAS announcement for the unveiling of Ulysses S. Grant’s tomb and the commemorative medal commissioned by ANAS for striking and designed by Tiffany & Co. (1897). ANAS announcement of a plaque commemorating John Paul Jones, designed by medalist Victor D. Brenner (1906). Articles announcing (for the time) high prices paid for various coins; articles explaining the coining process; counterfeit coinage; the rare 1804 dollar including an article announcing the sale of the late Matthew Stickney’s collection by his daughters, which included the 1804 dollar, to Henry Chapman, Jr. (NY Herald, Jan. 20, 1907); and an article announcing a gift to the Society of Roman coins from the Warren D. Gookin collection (The Sun, Dec. 30, 1906). Originally a set of nine binders containing materials pertaining to ANS policies and procedures, including council meeting extracts, memorandums, letters, lists, and printed matter. Materials have been removed from the binders and placed into folders containing the following: (1) filing of financial records, financial structure, insurance, additions to inventory, security (1964-1968); (2) council extracts pertaining to ANS management, master list of the numbered filing system for ANS records, billing procedures, coin boxes, cash receipts books, code numbers assigned to various numismatic geographical and topical interests, form letters, donor files (1964-1974); (3) constitution and bylaw amendments (1948-1973); (4) meeting agendas, notifications, and summaries, as well as announcements and circulars sent to the membership, which include the Centennial Medal, 1958, and the Louis C. West Medal, 1960 (1950-1972); (5) council meeting schedules, membership lists, an expense trend report, an International Numismatic Congress (INC) list of registrants (1973), bank letter procedures, and financial computations (1971-1973); (6) ANS printed materials and circulars for medals issued from 1914 to 1958 (1914-1959); (7) procedures and rates for photography and casts, cleaning coins, and circulars pertaining to ANS publications (1950-1969); (8) publishing distribution dates, prices, and stock locations (1964-1972); and (9) council resolutions (1940-1967). Some materials may be restricted to outside researchers. NPR program and Sasanian conference are open to all. ANS council meeting tape is restricted. National Public Radio (NPR) Morning Edition Program on U.S. coin design changes, July 27, 1988, hosted by Barbara Mantel, with guests William Bischoff, David Ganz, D. Harper, and D.(onna?) Pope. ; ANS council meeting re William Street, June 22, 2002; Sasanian conference, June 2003.